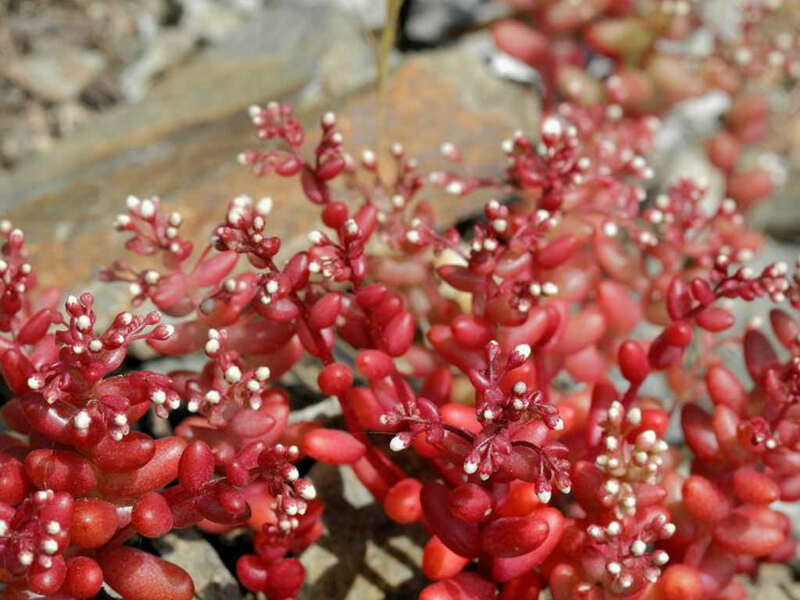 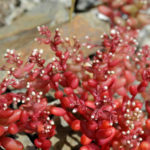 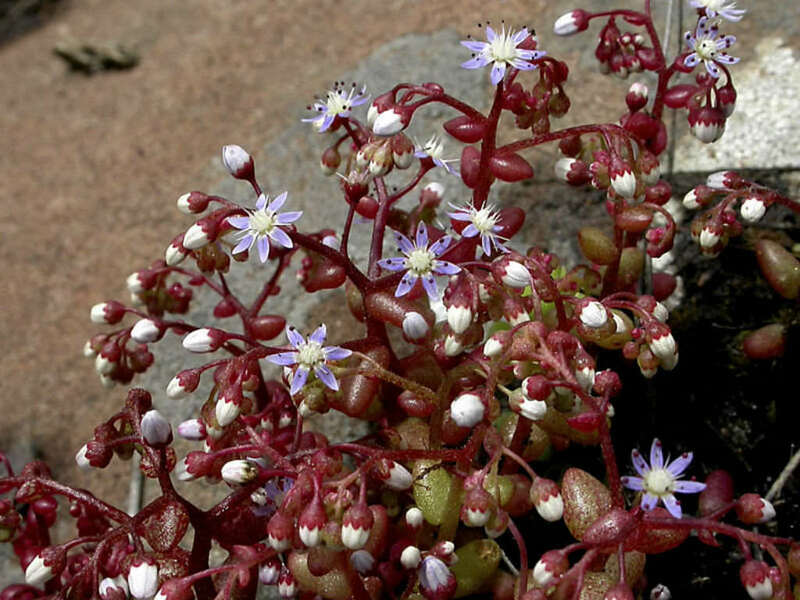 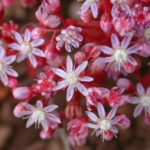 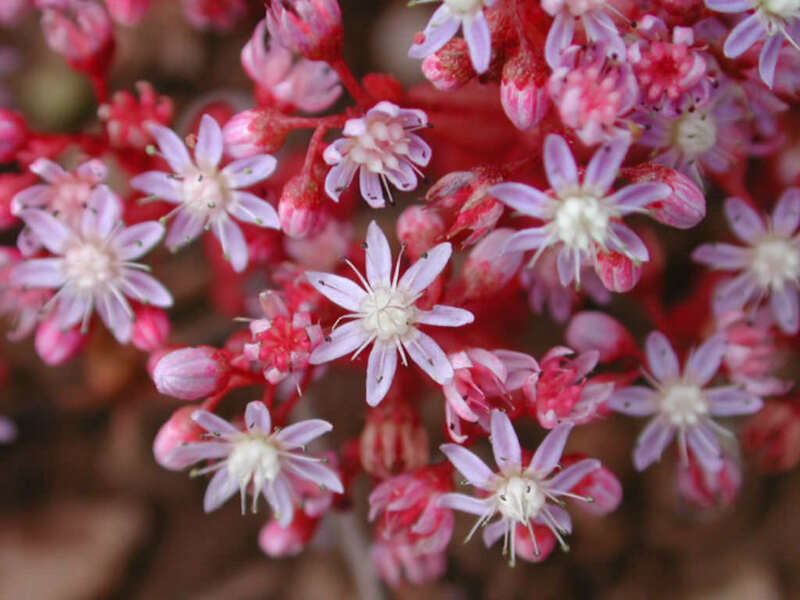 Sedum caeruleum is an annual, succulent, bushy herb, simple or much branched from the base, erect, up to 6 inches (15 cm) tall. The leaves are green, narrowly oblong and usually tinted red, up to 1 inch (2.5 cm) long. 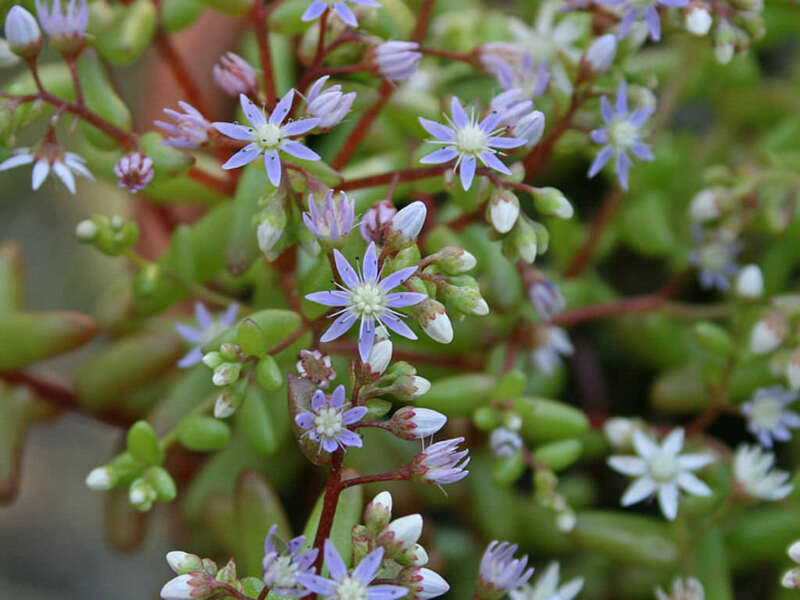 It produces cymes of pale blue or white (rarely pinkish), many-stellate flowers from July to September. 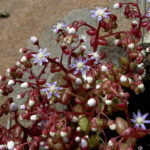 Native to Algeria, Sicily and Malta, Sardinia and Corsica.